Katelyn Stokes, RN, left, works with Grace Thayer, RN, a current NICU nurse and former ASCEND student. In 2015, Akron Children’s launched a program called ASCEND (Assuring Success with a Commitment to Enhance Nurse Diversity) with the goal of promoting a more diverse nursing workforce at the hospital. 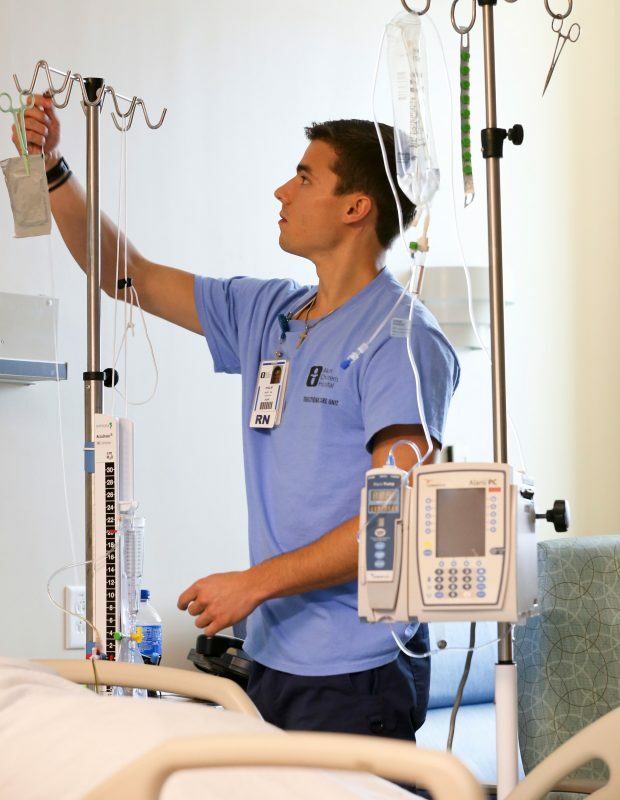 The 10-week summer internship, designed for nursing students entering their senior year, provides students professional development opportunities, hands-on nurse-related activities and the potential for future employment. 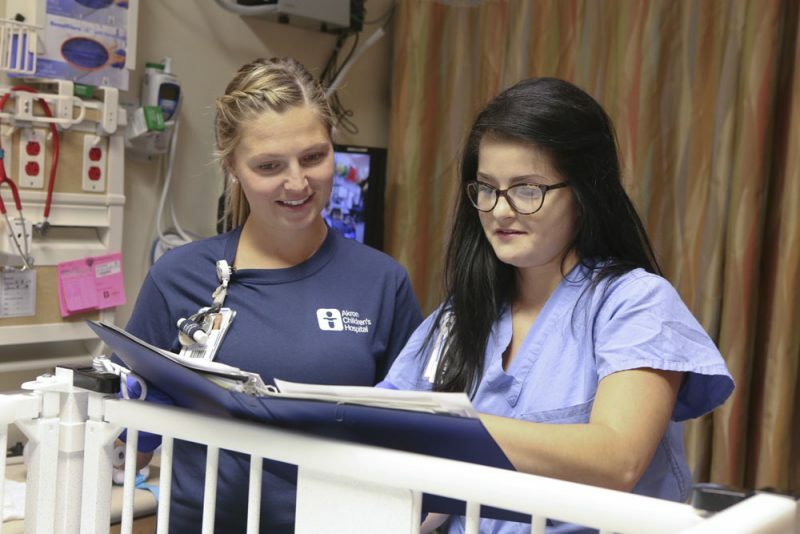 The program, which just completed its third cohort, has allowed the hospital to hire 22 nurses and 51 nurse techs over the last 3 years. Former ASCEND students Grace Thayer, BSN, and Philip Burt, BSN, credit the program with easing their transitions from students to new hires at Children’s. NICU nurse Grace Thayer checks on Amanda Hall and her 2-month-old daughter, Marlow, at the St. Elizabeth’s unit. Philip, who now works as a nurse in the Transitional Care Unit (7100) in Akron, agrees. Philip Burt works as an RN in the Transitional Care Unit (7100). 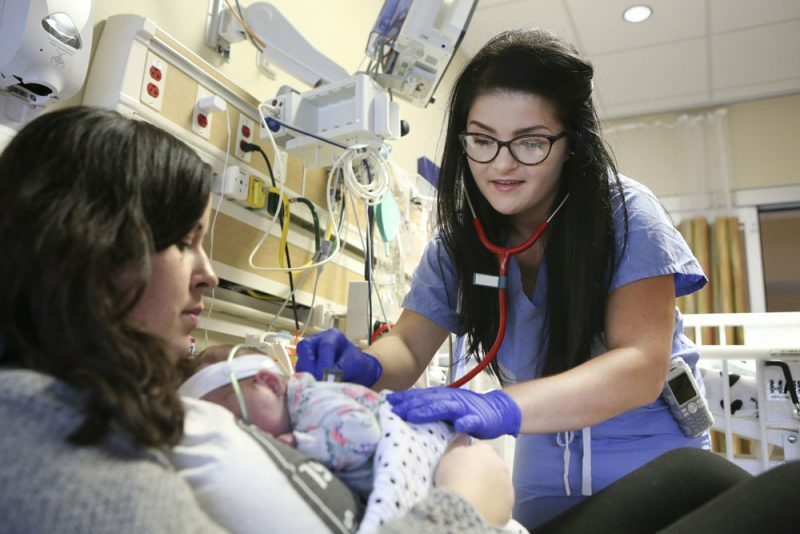 For Grace, who is now a nurse in the St. Elizabeth’s NICU, being in ASCEND helped her develop critical thinking skills and ease the transition from student nurse technician to nurse. “I was exposed to advanced teamwork and critical thinking the entire time I was a student nurse technician,” she said. 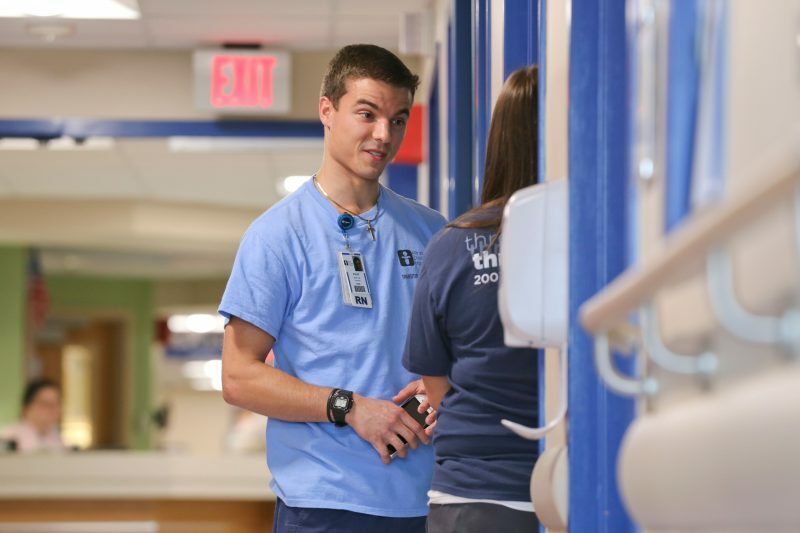 “I knew the layout and flow of the unit before I became a nurse. There is so much to learn outside of hands-on nursing care. I feel I have had an advantage in that way. Philip says it was beneficial to see firsthand the hospital’s culture and environment. Philip talks with another nurse on the floor. Both Philip and Grace are grateful for the experiences ASCEND gave them.